Tomorrow, (or pending on when you read this) today, marks the 23rd birthday of yours truly. Honestly, I’m most excited about having taken the day off. 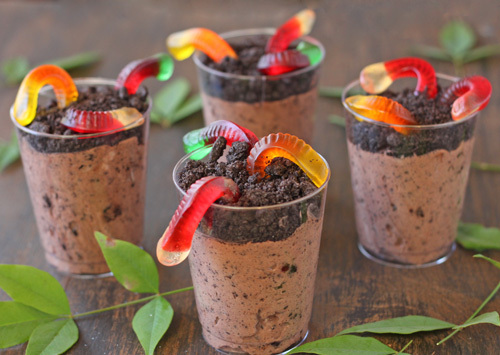 And the fact that I am having worm and dirt cups, a delicacy of my youth, in lieu of cake and ice cream. This time last year is drastically different from what lies ahead for me tomorrow. Last year, when I turned 22, I was a senior in college, feeling the burn of final final projects and papers and daydreaming in classes about how this time next year, the window I’d be staring out of would probably be in an office somewhere and not a classroom. I was gearing up to go on an amazing trip abroad with a former roommate to the exotic and mystical lands of Australia and New Zealand, and when we weren’t excitedly discussing our itinerary, I was discussing important and top secret maid of honor duties with one of my dearest friends for my current roommate’s wedding that following summer. I spent my actual birthday with my boyfriend at that time of just over two years, playing a round of mini golf and catching a movie at our favorite budget theater, and despite the craziness, the stress, and the overwhelming sensations-I was downright excited about life. Fast forward one year exactly. I have a window to gaze out alright-my childhood bedroom window. The papers and projects and classes have ended, and the only things that are ever due now are articles for the newspaper and my student loan payments. I’m not planning a trip abroad anytime soon, instead, my boyfriend of now just over three years and I kept it domestic and spent a week in DC, taking in the perfectly peaked cherry blossoms, marveling at monuments, and taking in so much history we had it coming out of almost every orifice possible. Only one wedding this fall and I just have to be a good bridesmaid and show up and do what the bride says and have fun, no top secret missions need to be carried out. I’m spending my actual birthday with my immediate family, which means pizza and a movie, and I already know what I’m getting-The Great Mouse Detective on DVD. Finally. Birthdays just aren’t as climactic like they once were, are they? Back when your parents threw you parties for all of your friends, balloons and banners and streamers decorated about, a big huge cake with candles you got to blow out post wish making, a table full of brightly wrapped presents, and all the attention was given to you for one special day. 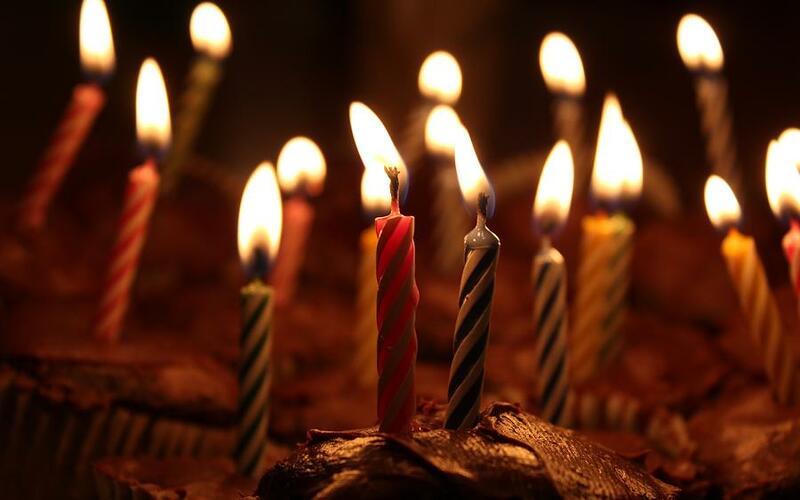 Over the years, the table of presents lessen, the cakes become smaller while the amount of candles ironically increase, and bit by bit, less people wish you a happy birthday let alone remember. Cards are replaced with social media greetings, and as an adult, you are fortunate to spend a few hours of your birthday as the sole attention of a few people, if you are lucky (or have devious friends who caught you by surprise and kidnapped you). The really sad thing though is, a lot of us are okay with this, purely because eventually…it no longer is exciting to realize you are getting another year older. Maybe I am being unusually melodramatic due to the third gray hair I found this past week, or perhaps it is completely out of my hands due to nature and the way she is having with my hormones at the moment (see: PMS), but I just feel like I’m aging quickly and beyond my control. I almost feel like Mel Gibson in the movie Forever Young (and if this reference is lost on you, here is a link to help you better understand). I was thinking the other day, about how things were different. In grade school, in high school, in college. Debating and wondering if I knew what I know now, if I would spend my time during those years differently. Perhaps I am merely remembering those times with rose colored glasses and graduation goggles, but there was definitely a sense of care-free freedom that has gotten lost somewhere over the past year or so. I can only hope it is only hiding. I don’t feel as if tomorrow I will be turning 23. I feel as if I have surpassed that age already, and honestly feel as if I am closer to 30. Exaggerating? Maybe. But when your friends and colleagues around you are all starting to get their lives figured out career wise, getting married, and starting to celebrate birthdays with their own children. well, those little gray hairs almost seem to be appropriate. Normally, I am the optimistic friend, who always tries to show my wonderful and amazing friends the light at the end of the tunnel, the silver lining of the clouds, the open windows to their closed doors, every cliche in the book (including that one). But that part of me is running on fumes at the moment, and it’s sadly intriguing and scary all at the same time. That just doesn’t change the fact that behind the Shoe you all know and love, is an Amanda who is freaking out because she just isn’t sure about anything anymore. An Amanda who is worried about that she will never find out what she is truly passionate about. An Amanda who is heavily concerned that when it comes to her career she will wind up settling. An Amanda who honestly isn’t sure where one of the most important relationships in her life is headed. An Amanda who could spend some time listening to her own advice but just can’t at the moment, and worst of all. An Amanda who feels like she has let down a small young girl with big dreams and a huge heart, who wasn’t scared of anything…until she grew up. At the point of writing this, I turn twenty three years old in just over an hour. And I am praying a change of heart and a new attitude and outlook on life comes with that additional birthday candle.